Even a single glass of wine, bottle of beer or mixed drink might impair driving ability in people over the age of 55, new research suggests. Downing a single alcoholic beverage did not raise any of the participants' blood alcohol levels over 0.08 -- the legal limit for driving. But it was enough to impair the driving skills of the older drivers, the study authors said in a recent issue of the journal Psychopharmacology. "This study suggests that even low alcohol doses, producing alcohol levels below the current legal limit, can compromise some basic driving skills among older adults," said study co-author Alfredo Sklar, a doctoral candidate at the Center for Addiction Research and Education at the University of Florida College of Medicine. At the start of the study, both age groups were asked to take a simulated driving test while sober along a 3-mile stretch of winding country road. The set-up for the driving test included several computers with large monitors in front and at the sides of the drivers to give the impression of side windows of a car. The driving console included a steering wheel, brake and gas pedal, and ambient sounds were pumped in via a stereo system. To add a touch of realism, occasionally another car passed. The researchers tracked the drivers' ability to stay in their lane and maintain a constant speed, as well as their steering wheel use while traveling along the road. On another day, the participants were divided into three groups. One group drank a lemon-lime nonalcoholic beverage, the second group drank an alcoholic beverage that produced a breath-test reading of 0.04 percent and the third group consumed an alcoholic beverage that raised the breath test to 0.065 percent. Neither of the alcoholic drinks caused the participants to hit the 0.08 percent legal limit, the researchers said. The drivers then took a spin along the simulated roadway again. Drinking less than one drink and then driving the simulated car did not have an impact on the younger groups' skills, but the older drivers exhibited poorer precision, according to the study. 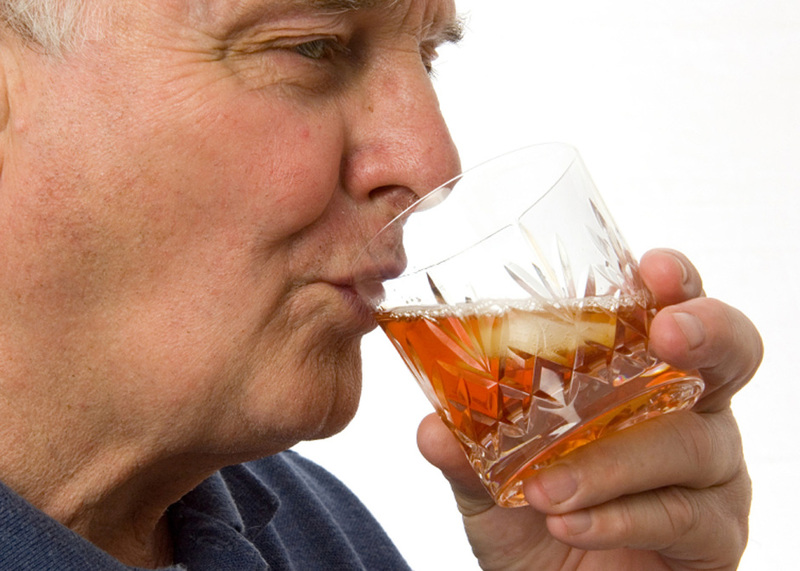 Their response at the wheel suggests "a greater sensitivity to alcohol among older drinkers," the researchers said. Jan Withers, national president of Mothers Against Drunk Driving, called the new findings "very interesting." "Impairment can begin with the first drink, so it's important for people to think about what they have had to eat, what medications they may be taking and how their body typically responds to alcohol," Withers said. The results suggest that it might be time to reassess legal blood alcohol levels for all drivers, the study authors said. Changing drinking limits for drivers is not necessarily the answer, however, said Janina Kean, president and CEO of High Watch Recovery Center, a drug-rehab facility in Kent, Conn. "If you are going to drive an automobile you should not drink at all," said Kean, who is also a psychiatric nurse practitioner. She said the country faces deeper issues of addiction, and jailing drunk drivers won't make significant inroads. "Caging them is not going to solve the problem of alcoholism," Kean said. "When they get out, they don't get treatment. You can't learn your lesson if it's a disease." Younger drivers shouldn't take the results as a message that drinking and driving is OK, the experts also said. Even though the older adults in the study were more sensitive to alcoholic drinks than the younger adults, Sklar said, the driving scenario he and his colleagues used for the study was far less complex than driving environments most people encounter in the real world, which can include pedestrians, animals, unusual traffic patterns, emergencies and other unpredictable drivers. "Our findings do not mean these doses are completely safe for younger drivers," Sklar said. Drinkers should always plan ahead for a designated driver if they intend to consume alcohol, MADD's Withers said. "The safest choice for anyone over the age of 21 is to have a designated nondrinking driver if they're going to drink," she said. Visit the MADD website for more on drunk driving.